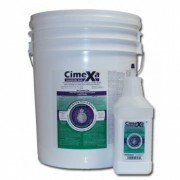 Safe products to use on rubber floors to clean, condition and wax without drying rubber. 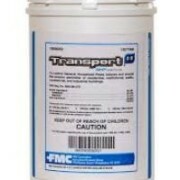 Cleaners used in general housekeeping on multi-surfaces. 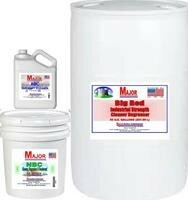 Acid and Non-Acid cleaners for toilets, urinals and other bathroom fixtures. 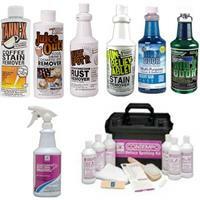 Specialty products for removing coffee, gum, rust, adhesive and other stains from carpet and upholstery. 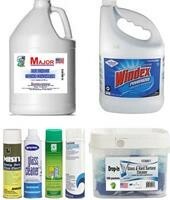 These products use collidal activity to encapsulate dirt and grime and remove it without leaving a residue. 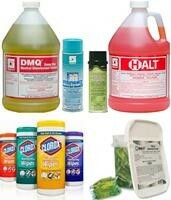 Chemicals to use in extractors, shampooers, and with carpet bonnets to make carpets fresh and clean. Cleaners to polish, clean, and remove stains in tile, grout, marble, granite and other stone surfaces. Multi range of degreasers for every job. 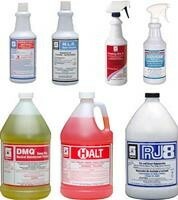 Non-butyl, citrus based and Heavy duty products to make your job easier. 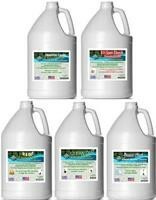 Foggers, sprays, wipes and concentrates to clean and disinfect all types of surfaces. 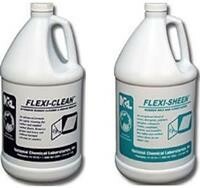 Ready to use and concentrated cleaners to make your glass, hard surfaces and mirrors sparkle. Finishes and sealers for vinyl tile floors that are scuff resistant, buffable, and high gloss. 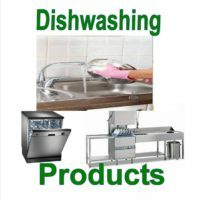 These products use the principle of collodial activity to clean. The principal of collidal activity involves finely divided particles (colloids) suspened in a medium. The colloids penetrate soil and then lifts the dirt particles off the surface, or suspends them, keeping them from re-attaching to the cleaned surfaces. Economical way to buy in bulk without creating storage problems. 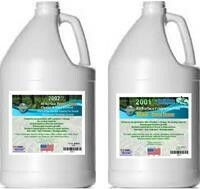 Drop-in cleaners are pre-measured, self-dissolving sleeves of concentrate that helps to reduce dilution errors. No cutting, tearing, trash or waste. Why buy water? The water is left out so that the right concentrate is left behind! 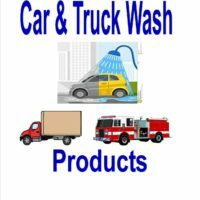 Car & Truck Wash Products A complete line of commercial wash & shine products, brushes, handles, microfiber cloths, foam guns and heated interior cleaning machines for cars, trucks, buses, fire trucks, trains, trams & mass transit equipment.